Josh Duhamel (Transformers) is back as Ace in the thrilling story about a heroic pilot seeking redemption in the DOVE-approved family adventure, Wings: Sky Force Heroes. In the sky-high follow up to the animated feature Wings, an all-star cast including Rob Schneider (Grown Ups), Tom Skerritt (Top Gun), Jesse McCartney (Alvin and the Chipmunks), Hilary Duff (A Cinderella Story), Dallas Lovato (Birds of Paradise) and Russell Peters (Source Code), all return to help firefighter Ace remember why he loves being a hero. When Ace (Duhamel), a cocky young firefighter, defies his Colonel's (Skerritt) orders and recklessly attempts a solo mission, it leads to disastrous consequences. Ace, along with Fred (Schneider), his trusty co-pilot, quits Sky Force and resigns himself to hauling coal for Mr. Steinway (Peters), until one day a fire breaks out in the mines! With the help of his friends: Windy (Duff) and T-Bone (McCartney), Ace must overcome his fears and become the hero he was destined to be. Keep an open mind on this film as it is very similar to Disney's Planes films. And by similar, I mean, both movies are airplane-based and both the main plane characters must overcome some great fear. Ace is a member of the elite Sky Force fire fighting unit who is too cocky for his own good. He repeatedly defies his Colonel’s orders until one day during a rescue a member of the Sky Force team is lost. Ace blames himself for the accident, because once again, he ignored direct orders from the Colonel, which resulted in the accident. Ace quits Sky Force and leaves that life behind him. Ace and his copilot, Fred, try job after job after job, and Ace realizes that he’s not good at anything else. Finally, he finds a job as a transporter of coal from a mine. After almost being fired, he convinces his new boss, Mr. Steinway, to give him another chance. He works hard and gets better at hauling coal, but the other transport planes are bigger and stronger than he is and they don’t think he can do the job. One day, there is a big snow storm and all the transport planes are trapped in the mine. 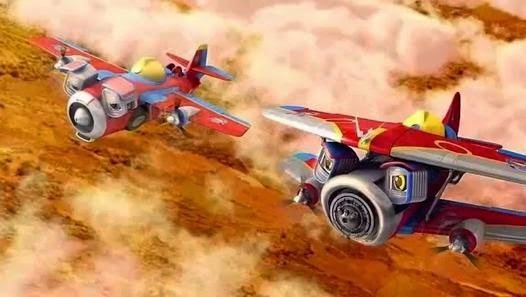 Ace and Fred realize that the only group who can help the planes is Sky Force and Ace calls the rest of the team to come and help him. With Sky Force back together, Ace is able to help his coworkers and overcome his guilt from the accident. I watched this film with my six-year-old Godson in mind. While at the moment, he is more into superheroes, it was a cute film that I think he’d enjoy. Because I watched with an open mind, I enjoyed it more than I would have if I was just watching it to review. 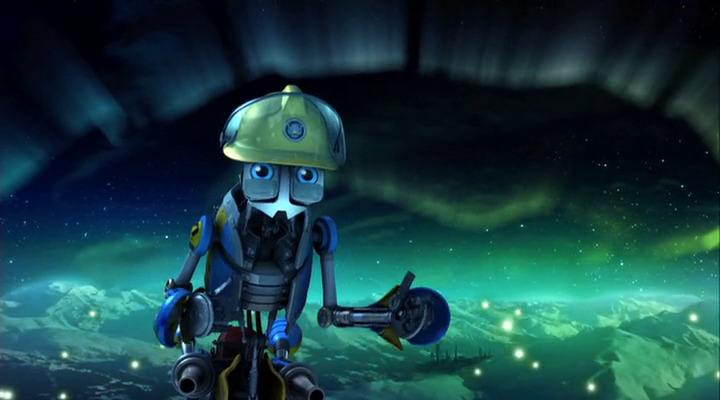 There are a lot of semi-famous voices in the film, with Josh Duhamel voicing Ace and Hilary Duff voicing Windy. Both did a good job and the rest of the cast were also good. The story was sweet and entertaining. It was simple, but held my attention for the full 80 minutes. 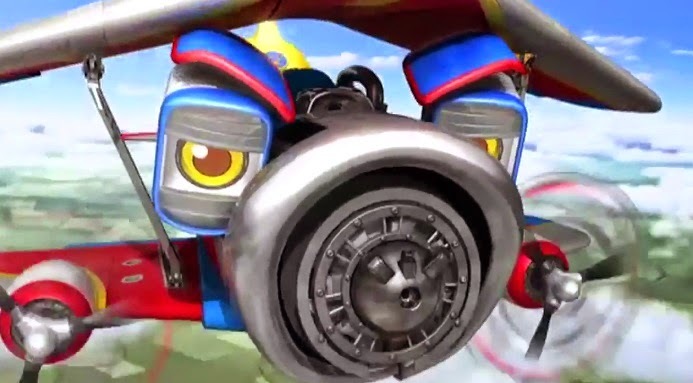 Wings: Sky Force Heroes is an animated film presented in 16x9 widescreen with a 1.78:1 aspect ratio. The animation was good and the colors were very good. They were bright, sharp and clear and the animation had no visible mistakes or issues. The Dolby Digital audio presentation of Wings: Sky Force Heroes was also really good. The sound was clear and the volume was just right. As an animated film, the actors have to be intelligible and articulate and they all hit their marks. I had no problem hearing any of the dialogue. English and Spanish subtitles are also available. I always like behind-the-scenes looks at animated films because you see the actors in the sound studio and see how the film was put together. I also really enjoyed the short films included on the disc. Bringing the Characters to Life: At the Recording Studio with Josh Duhamel, Hilary Duff, Rob Schneider, Jesse McCartney, Dallas Lovato and Russell Peters – A behind-the-scenes look at the recording of the dialogue with interviews from the cast. This was interesting because it just showed them in the studio, but it also showed their expressions, which kind of matched up to the “expressions” of the planes. Miniscule Bonus Episodes – Four short bonus episodes, each just under six minutes. These were cute little shorts. 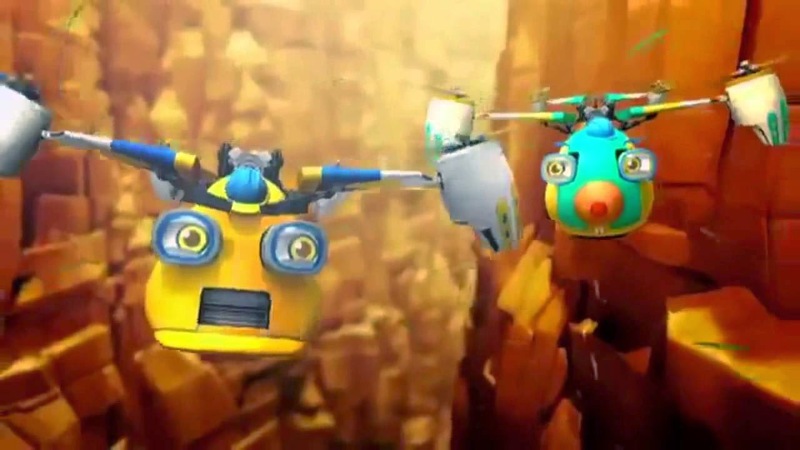 Wings: Sky Force Heroes Trailer – The official trailer for the film. 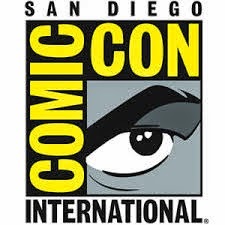 Also from Lionsgate – Previews of other animated films from Lionsgate. 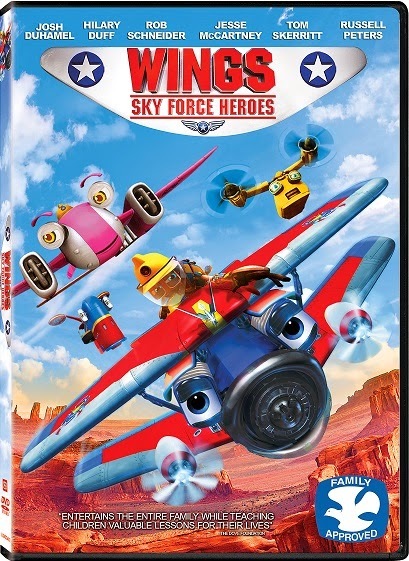 Wings: Sky Force Heroes is a cute film that I found myself enjoying, not only for the kid aspect, but as an adult. It was a fun movie that, like most animated films, teaches a valuable lesson and has a main character overcome a difficulty by the end of the film. Kids and adults will enjoy this film and I know I will watch it again.